New day, same old story. For the third day in a row, Republicans held together to block an effort by Senate Majority Leader Harry Reid to move to debate on a financial industry reform bill. The cloture vote was 56 yes-42 no; Democrats need 60 votes to move to debate and allow senators to offer amendments to the bill. Democratic Sen. Ben Nelson of Nebraska again voted no on the bill; he wants changes made before it goes up for debate. One Republican and one Democrat did not vote; Reid changed his vote to "no" in the end in order to be able to bring the motion up for yet another vote. It is unusual for the Senate to hold votes like this day after day, particularly when they are widely expected to fail. But Reid and other Democrats believe they are on the right side of the politics of the issue, and are all too happy to keep generating headlines about the GOP blocking debate on a financial industry reform bill. 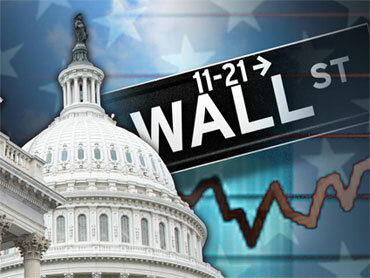 Polls suggest a majority of Americans back stricter Wall Street regulations. Republicans initially attacked the bill as setting up an "endless taxpayer funded bailouts for big Wall Street banks," but have moved away from that argument amid claims by the White House and others that it is disingenuous. They are now suggesting the bill could tie up small businesses in a web of regulations. Members of the GOP still want changes to the bill before it comes up for debate, however, and Democratic Sen. Chris Dodd (Conn.) and Republican Sen. Richard Shelby (Ala.) continue to make changes designed to attract some Republican support. In Iowa yesterday, President Obama criticized Senate Republicans for blocking efforts to move forward, saying Americans deserve an "honest debate." Republicans seem cognizant of potential political fallout from their position; Sen. Saxby Chambliss told Politico that "to maintain credibility, we have to get a bill or get to work on a bill." But the moderate Republicans that Democrats are hoping to peel off maintain that the bill lacks bipartisan ideas and say they thus can't vote for it. Dodd and Shelby are reportedly poised to drop from the bill a proposed $50 billion fund paid for by financial institutions that Republicans have suggested would encourage future bailouts, though it is not clear what might replace it. Reid is considering holding another vote to move forward tomorrow.